Here's a fantastic article on why it's better to create and use your own content for your website. 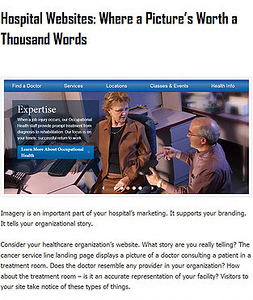 Incidentally, the article was written about our client, Rutland Regional Medical Center, and features our image. Judge for yourself - here's a side-by side comparison of an amateur interior snapshot and a Vibe custom interior. Which image would you choose to represent your business?